Bad Fat seems to be what immediately comes to mind because 'fat’ is a word that evokes strong feelings. One blogger’s words reflect this: “I’d rather be stupid and mean than fat.” Someone replied: "Congratulations, you already are!" Fat attracts a barrage of criticism but, we need fat in both our food and our bodies. 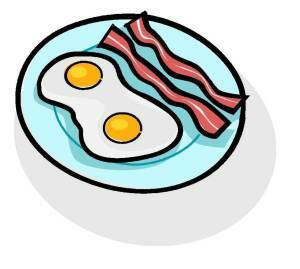 At one stage fat in food was all considered bad, especially saturated fats. But is that true when it comes to health and longevity? Susan Pinker did a recent TED talk about her trip to Villegrande, Sardinia Italy - the center of the blue zones (those places that have a high prevalence of people who live to over 100). She tells the story about the 102-year old women who taught her to make these enormous ravioli loaded with saturated fat and that was when, she said, she realized you didn't have to go on a gluten-free, low fat diet to be a centenarian. 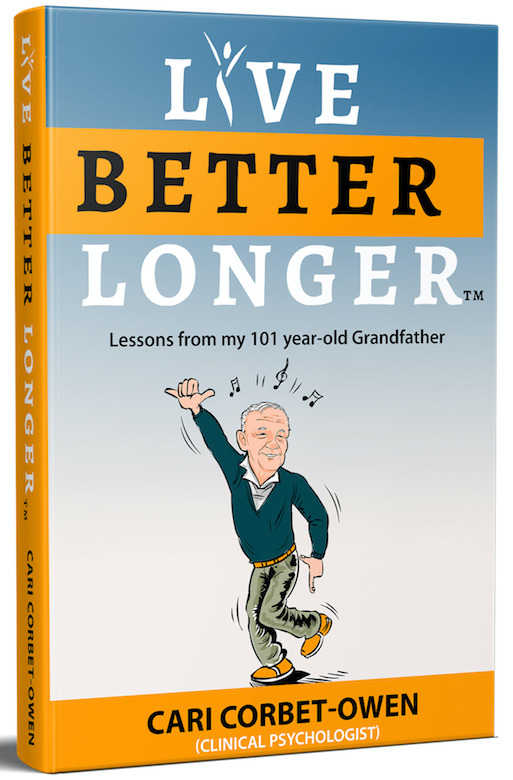 If you've read my free ebook on Secrets to Longevity, you'll know that my paternal grandfather, Ernie, who lived to 101 ate a very high saturated fat diet. He never bought into the bad fats are saturated fats story. And it does seem that scientists are now reminding us that we need fat in our diets for energy and longevity, and that it's the artificially manufactured trans-fats that are bad for us. This should not come as a surprise! Nature knows what's best and so the moment we process food and change it, it really should come as no surprise that in the processing elements of our food are de-natured and are no longer good for us. 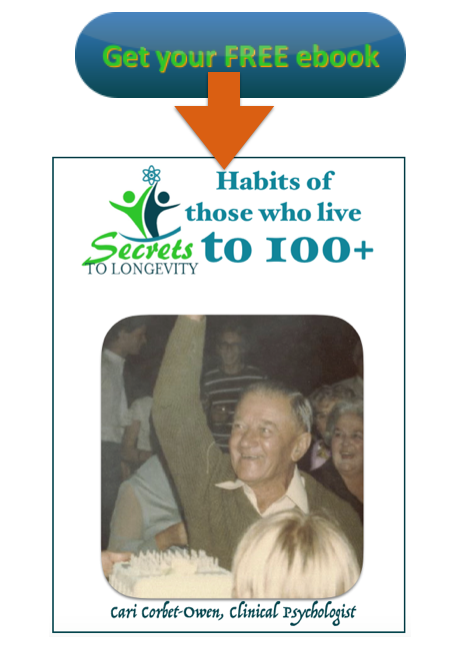 And if Centenarians have anything in common in their diets it's that they eat very little processed food. 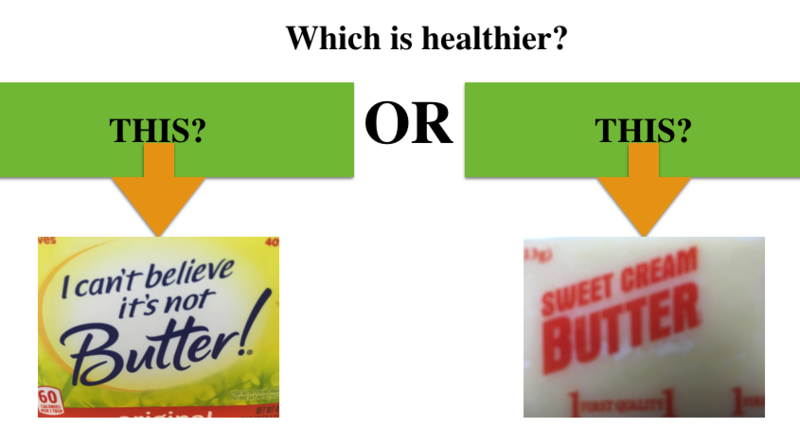 So, for example, they are far more likely to eat butter than margarine. A 2008 Harvard Medical School research reported in the May Edition of Science News had results that surprised even the researchers. Dr. Kahn’s research was done in an effort to find out why fat located in different parts of the body seems to have different risks of metabolic disease such as diabetes. However, to their surprise they found that a certain amount of visceral fat (the fat just under our skin, traditionally thought of as bad fat), helps to regulate blood sugar. Find out more about an unusual way to regulate blood sugar here. Mice (which admittedly are not the same as humans) were put into two groups with one group having subcutaneous ‘bad’ fat transplanted into their bellies while the others had a sham procedure. Those mice with the fat transplant not only slimmed down after several weeks, but they also showed improved blood sugar and insulin levels compared to the ‘sham’ group. And let's not forget that the 90+ study found that people who were overweight at age 70 live longer. 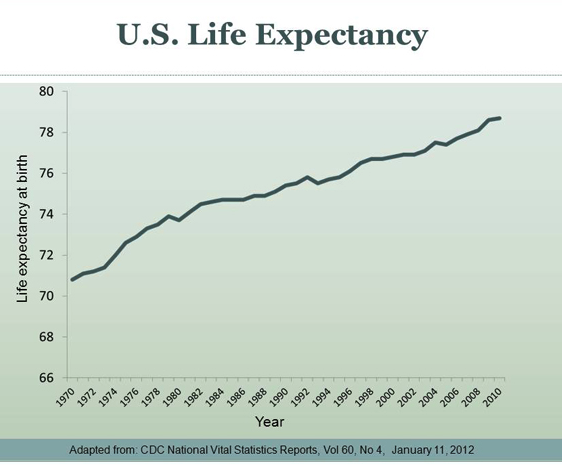 And while there has been a lot of the 'fat is bad' argument out in the media - even as obesity has grown so has life expectancy in the US and that stands in direct opposition to the commonly held belief that fat is bad. We need fatty substances for the myelin sheaths in our brains. Not long ago, I heard a radio interview where an alzheimer's researcher was speculating that the period where saturated fats were made to be the health ogre might be one of the reasons we're seeing such a high rate of Alzheimers now. Given that we are schooled into thinking that all fat is bad fat, the above research may seem like counter intuitive news. However, we need to be careful not to undermine the importance of body fat. Not ALL fat is bad! Firstly, we all need body fat -– women need higher percentages than men from puberty on. Women with less than 18% body fat are likely to have amenorrhea (and at 14% body fat cessation of the menstrual cycle is almost guaranteed): one of the symptoms of anorexia, or even possibly orthorexia. We need a certain percentage body fat to keep warm – which is why anorexics struggle to stay warm even in warm weather and why their body often compensates by developing fine black bodily hair. Even the French are now starting to legislate against models who are anorexic recognizing how dangerous too little fat is. ﻿ In fact in the Katherine Flegal research more thin people died than fat people. So let’s not forget that you can’t just label all fat as bad fat because it’s essential to our health in many aspects. But really - fat is bad -right? I know it's hard to believe it's not....we've been so thoroughly hoodwinked on this issue. Historically carrying some fat was considered to be an important longevity and health reserve , then that changed and thin became the new heath standard for what was considered to be healthy. But, in an enormous study of 1.8 million Norwegians over 10 years, the highest death rate occurred in underweight women, and the lowest mortality rate was amongst those who were approximately 30% overweight. Even women considered ‘morbidly obese’ had lower death rates than the underweight group. And there are many more studies like this. Put another way, one way NOT to have longevity is to be underweight. And as I've already pointed out, it appears that how much fat is bad and how much is good also depends on your stage of life. But with studies like those by Dr. Kahn and a host of other research from around the globe it seems that the jury is still out on exactly how much fat we need to be healthy and enjoy longevity.